Product prices and availability are accurate as of 2019-04-24 04:37:00 UTC and are subject to change. Any price and availability information displayed on http://www.amazon.com/ at the time of purchase will apply to the purchase of this product. 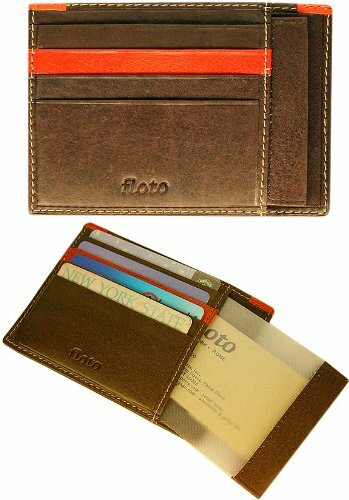 812/27 Color: Vecchio Brown Features: -Top grade calfskin leather. -Handmade in Tuscany, Italy. -8 card slots - 4 front/4 back. -2 multi-function pockets. 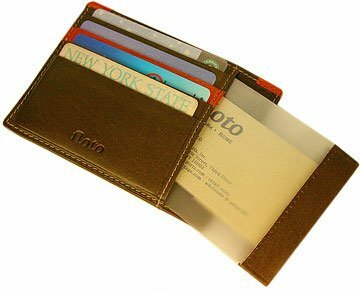 Product Type: -Business Card Holder. Gender: -Women's. Gender: -Men's. Material: -Leather. Color: -Black. Color: -Tan / Khaki. Generic Dimensions: -Overall dimensions: 5'' H x 3.5'' W. Dimensions: Overall Height - Top to Bottom: -5 Inches. Folded Width - Side to Side: -3.5 Inches. Overall Product Weight: -1 Pounds.